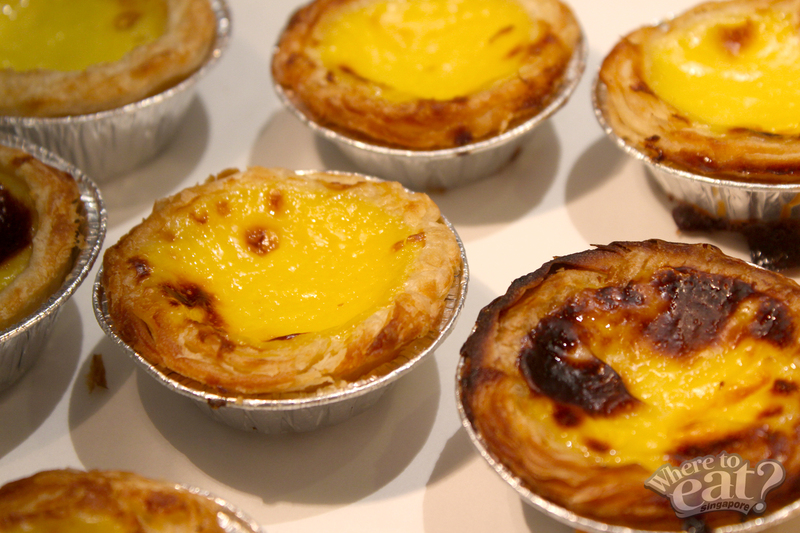 A new addition to the myriad of eateries at the basement of 313@Somerset, Dinata specialises in baking authentic Portuguese pastries including the famous pastel de nata (Portuguese egg tarts). 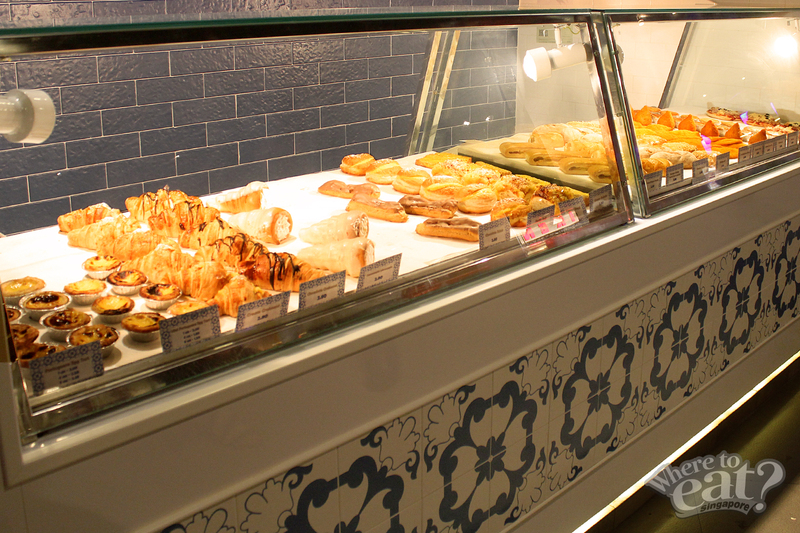 Standing in front of mouthwatering pastries displayed behind the glass panels, you’d be spoiled for choices. Nonetheless, savory or sweet, you’ll find something that feeds your heart and stomach. Let’s talk a little about Portuguese egg tart. We know it, we’ve seen it, and it was made well known by Macau. It was first created over 200 years ago in Belem, Portugal. Crumbly yet chewy and with a hint of saltiness, the crust is slightly different from the egg tarts we usually eat. 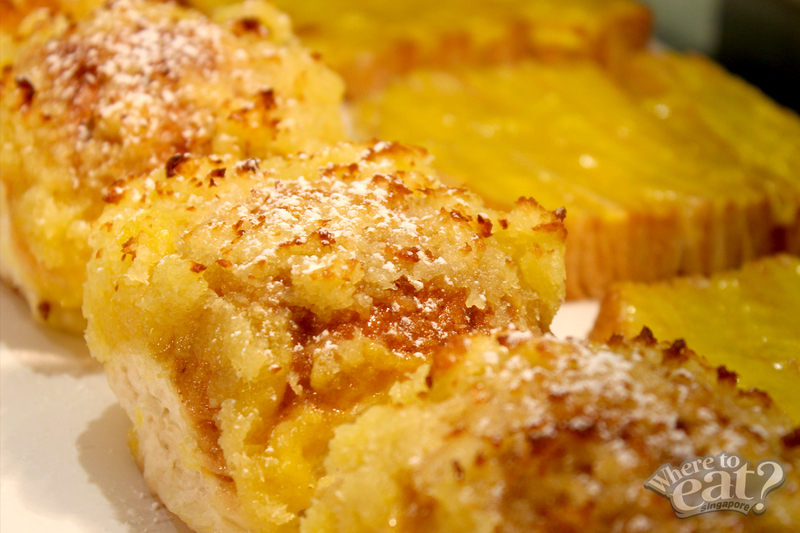 But what’s different is, as how the traditional way is, you can add a dash of cinnamon atop, so you get an involuntary wave of cinnamon right before you deliver the goodness of the tart into your mouth. Never judge a book by its cover, and never judge a bread by how it looks, especially the Coconut Bread. A bite into the densely packed layers of moderately moist and yeasty pockets and then a surprising waft of fragrance from the coconut shreds that lies on top of the bread will bring you into the clouds of dessert paradise. Cornucopia, literally translates into horn of plenty, is a symbol of abundance and nourishment, commonly a large horn-shaped container overflowing with produce, flowers or nuts. 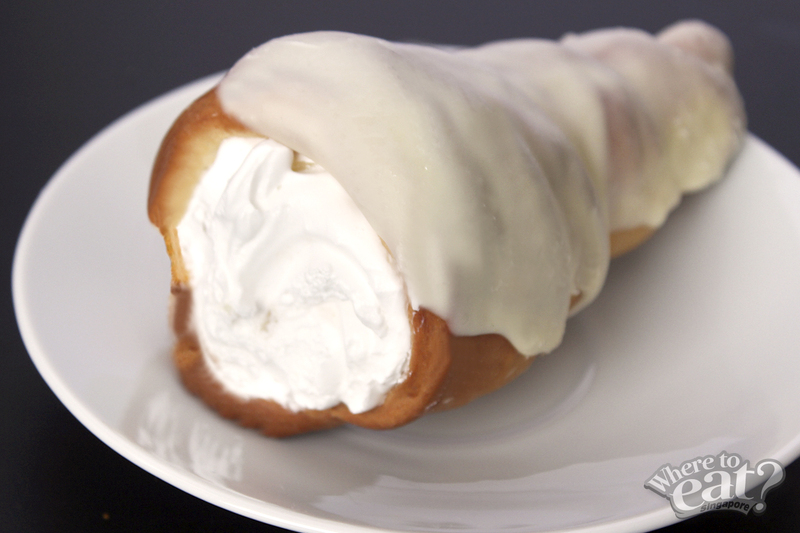 That is why the Pineapple Cornucopia, a horn-like crusty pastry, is overwhelmly filled with soft and fluffy cream infused with bits of pineapples. No matter whether you’re a fruity or nutty person, the Cornucopia comes in satisfying flavors of pineapple or hazelnut. If you’re not a fan of sweets, then you should definitely go for the savory Chicken Drumstick, which is a well-known snack in Brazil, known as Coxinha. 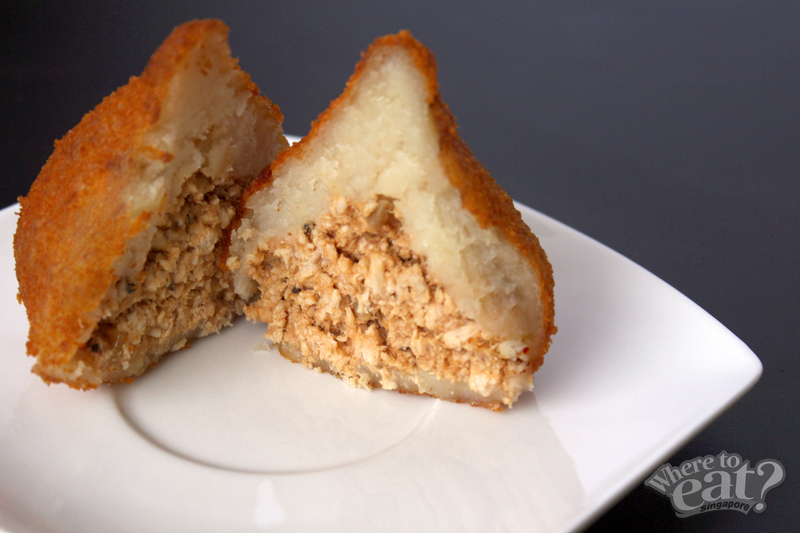 Wrapped in a light and mashy dough, then battered and fried, the shredded chicken meat are lightly seasoned and what you get are fried bites of pure joy. The next time you need something unique, something sweet, something savory, something good for your big group gathering, you know where to get them! 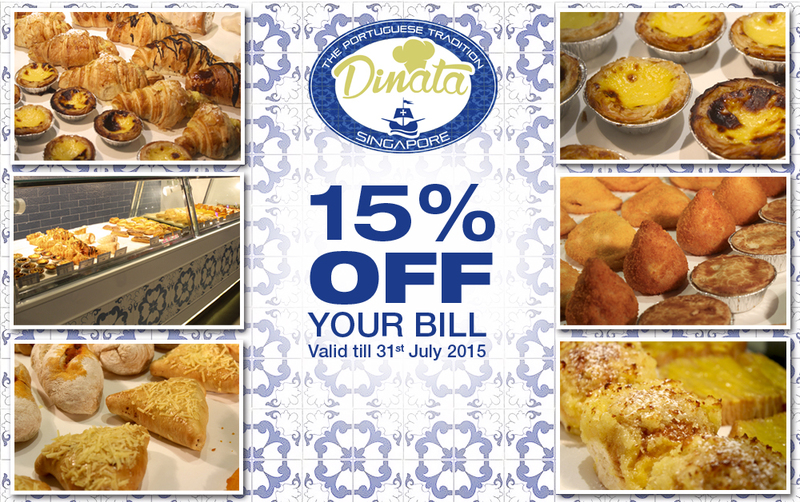 *Flash this page on your phone to our staff at Dinata 313@Somerset and get a 15% off your bill. T&Cs apply. Valid till 31st July 2015. Not valid with other promotional discounts or offers. Promotion available only at Dinata 313@Somerset. 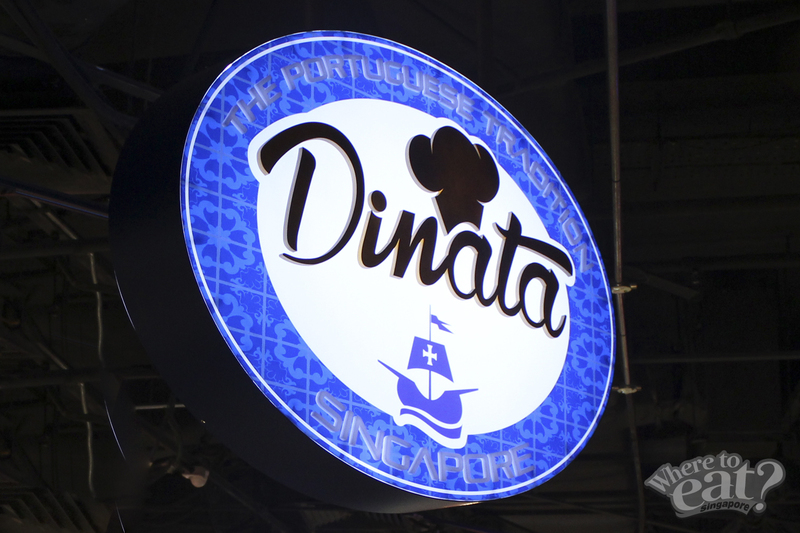 Dinata Singapore reserves the right to change the T&C without notice.